Zero Tolerance Knives are the culmination of award-winning custom knife craftsman Ken Onion and a familiar brand name in the knife world, Kershaw. In fact, Ken invented the patented Speedsafe assisted-opening mechanism for Kershaw knives. 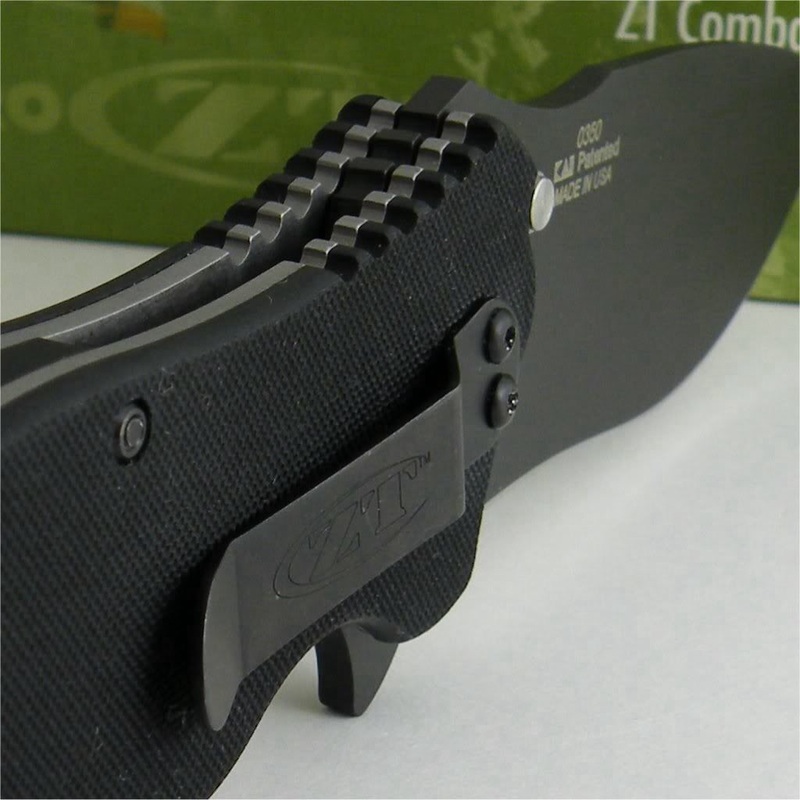 This dynamic opening mechanism can now be found on several of the combat knives in the Zero Tolerance line. I’ve been searching for the perfect EDC (every day carry) knife, and so far, I’m really digging the Zero Tolerance 0350. For those of you familiar with Zero Tolerance Knives, the 0350 is specifically designed as an EDC knife—measuring 10 percent smaller and lighter than their ZT 0300 model. At only .50″ thick, it fits comfortably into a front or side cargo pocket using the pocket clip. The steel clip has four predrilled locations on the textured G-10 handle to accommodate left and right, tip-up and tip-down carry positions. The large blade flipper on the back of the handle activates the Speedsafe assisted-opening mechanism, which provides a smooth and positive deployment of the blade. This is easy to manipulate even while wearing combat or work gloves. The locking mechanism is a simple stainless-steel liner lock that also works flawlessly and can be manipulated easily. So far, I’ve carried this knife tip-down in my right front pocket, and I no longer notice its presence. Although I haven’t had the opportunity to shank an overly aggressive assailant with this knife, I have been using it in a more mundane, utilitarian manner: breaking down boxes, slicing rope, cutting anything I can get my hands on at work, and occasionally throwing it at my wood pile. Basically, using it for its intended purpose. All Zero Tolerance knives are very robust and over-engineered. They proudly stand behind their American-built products with a limited lifetime warranty and a very reasonable repair policy should you somehow damage your blade. So far, the blade has remained razor sharp despite my abuse, and the Speedsafe activation is still rock solid. My only minor complaint is the absence of an included star-tip wrench to relocate the pocket clip to your desired carry position. If it were a simple Allen screw, I wouldn’t even mention this because everyone has Allen wrenches. But the pocket clip is secured to the grip with two of the tiniest star-tip screws I’ve ever seen. I fortunately had a very small star-tip screwdriver that I purchased years ago to unscrew my Oakley X-Metal Juliet sunglasses, which luckily was the correct size for this application. For the price of this knife, I feel a small wrench should be included in the box. However, I’d still recommend the ZT 0350 to anyone looking for a solid EDC knife that will last a lifetime. In my opinion, there are a few items that everyone should carry, and a knife ranks right up there. This is part of my EDC, and I can assure you that the Zero Tolerance 0350 will perform day-in and day-out without issue.